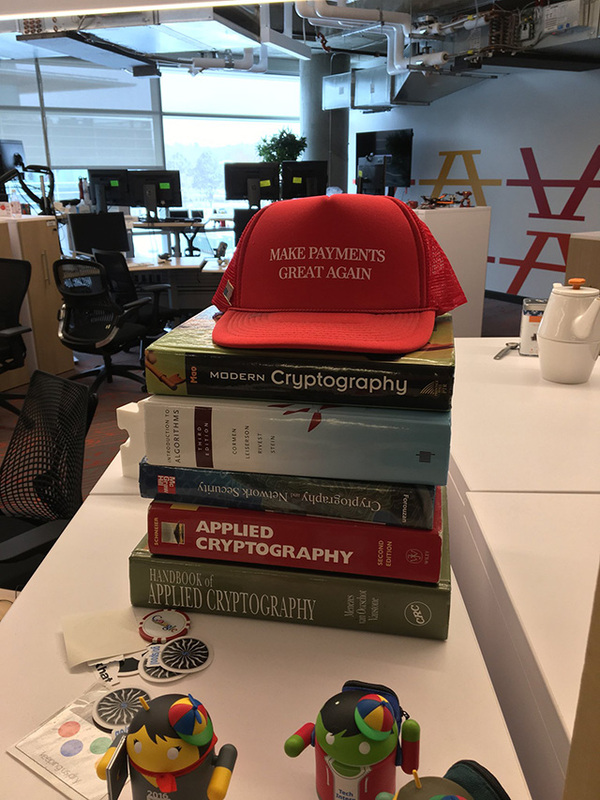 The other day, I spotted this photo on Twitter from one of the desks at the Google Boulder office with a ton of books on cryptography and on top of the books is a hat, a Trump style hat, that says "Make Payments Great Again." (1) Someone spent money to make the hat. (2) Maybe Google is working on GoogleCoin?